This summer, University of Illinois Extension Master Gardener volunteers will provide programs in the Master Gardener demonstration gardens. 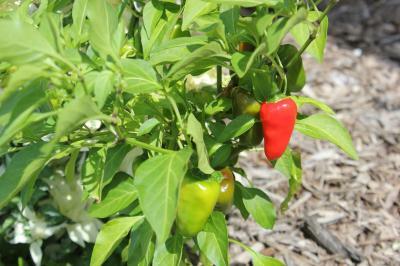 Join Master Gardener volunteers on Thursday, August 25, at 5:30 p.m., for theirthird in a series of pepper programs. Volunteers will discuss the various peppers grown in the Herb Garden and uses for peppers. Master Gardeners are volunteers of the University of Illinois Extension Logan-Menard-Sangamon Unit. The demonstration will be in the Master Gardener Demonstration Gardens located on the Illinois State Fairgrounds in front of Building #30, Springfield. Program is free and open to the public.